Orange Markets 2014/15 - Ultra International B.V.Ultra International B.V.
We should remember that orange oil is a by-product of the juice industry. Oil is cold pressed from the peel of the fruit, after the juice extraction and is widely used across the flavour and fragrance industry. Sweet orange (citrus sinensis) is around 90% d’limonene, a product used across many more industries. Approximately 40% of global oranges are processed for juice and oil with 60% solely used as a fresh fruit for consumption. Figures derived from the USDA indicate that global production will rise this year (2014) by 2%. However it also claims that fresh consumption is estimated to expand whereas fruit for processing remains relatively flat. It is always difficult to fully ascertain the real production figures for Brazilian orange oil, as official statistics are inconsistent and sometimes controversial. Last month, using official data, we estimated an increase in the number of boxes collected during this season would be up around 6% from last year. Today that figure seems overestimated as further research shows that the impact of the drought conditions in recent months has had a bigger impact than anyone expected. Official data have already started to be written down. As you would expect not only does Brazil have the largest production of fresh oranges but also it processes more orange than any other country making it the largest contributor for orange oil and d’limonene (orange terpenes) in the world. Harvesting can be almost 12 months of the year due to the widespread distribution of plantations, however it is unusual for any significant production during February – April. Therefore we usually consider May – December as a typical harvesting period. A few months ago prices were being talked up by some producers but not others, which became confusing. On reflection those talking prices up then, probably had greater access to information about the struggling fruit crops. Smaller processors would have had more flexibility or had been able to calculate their yields earlier but using data provided by a number of producers this past week we can now clearly see why there is a lack of material on the market and why most major producers are now claiming they are sold out. We don’t usually associate China with orange oil and that’s because China generally consumes everything domestically. Their volumes are significant and it is considered the world’s second largest producer of fruits, around half of that of Brazil. Accounting for 15% of the global market, China has the biggest domestic consumption of orange in the world. However only 5% of this is processed and the resulting output is also consumed internally. Further to this, China also imports around 6,000-8,000 tons of CPOO per annum of which half is used for the production of aroma chemicals. Spain is the 6th largest producer of oranges in the world and by far the biggest in Europe – around double that of Italy. Valencia (known globally for its orange production) is the largest growing area in Spain of citrus sinensis species. Between Italy and Spain, production over the past few years has averaged at consistent levels although earlier indications of a good winter crop during this season have since been revised down. The two producing countries output totals around 6 million tons of orange with around 1.3 million tons sent for processing. The balance is consumed as fresh fruit within European Union countries. However domestic production does not cover local demand and as a result the EU is still a large net importer of fresh oranges. The season in Spain for the Valencia fruit starts in October and usually lasts until the end of December. Italy has an interesting type of citrus sinensis called ‘Blood Orange’. Blood orange is red in colour due to the anthocyanin pigment present (this is also a good anti-oxidant). The oil is unique because of the high carotenoid content and its sweet taste. The three most common types of blood oranges are the Tarocco (native to Italy), the Sanguinello (native to Spain), and the Moro, the newest variety of the three. The main use for the oil is in beverage markets for it’s naturally fresh and sweet taste and it has a natural colouring agent to add a redness to any drink. The Italian harvest season runs from February to early May. The typical oil yields are relatively small at around 2.5gm per kilo of fruit. Mexico is another producing country that we don’t historically associate with oranges unlike we do for limes. However, over the past 6-7 years more and more fresh fruits have been used for processing with the growing emergence of a juice and oil industry. In recent times Mexico has had a strong orange production and domestic market. Over the past 20 years production volumes have averaged between 3.5-4.0 million tons of fresh fruits, with the only notable trend being towards more processing, which today is around 25% of all production. However the swings in processing can be inconsistent – up 60% one year, down 25% the next and so on. Stability is something that is rarely associated with any agricultural business in Mexico at the moment and the forecast for this season is no different. One major growing area is the region of Tamaulipas. There citrus growers have been advising of millions of dollars of losses and have asked the government for support citing the fall in price of citrus, the presence of pests and the excessive moisture that is causing the death of many trees. As a result 8,000 hectares of orange trees have been abandoned and are not producing anymore. Many citrus farmers are unable to stay in business as the industry has been so hard hit in recent years that banks are not prepared to offer loans to make farmers invest in future crops. These figures below show the recent history in volumes of Mexican oranges processed (1,000 Metric Tons), illustrating the inconsistencies mentioned above. The Navel production starts around May and ends in June and the Valencia starts around June through to October/November. It is grown mainly in the North East of South Africa and the Western Cape but there are producers in most regions of South Africa. The Valencia usually has quite a high aldehyde level of around 1.5% and the profile of the oil is similar to the Brazilian orange. Given the troubles of aldehyde content in Brazil this year it is expected that there will be more demand for the South African material. The figures below show South Africa’s fresh production volumes (1,000 Metric Tons) showing its consistency and steady growth. This year approximately 300,000 MT of fruits were processed for oil. As we have seen over this last year with lemon oil, the climate and weather conditions are very stable in South Africa and natural disasters are very few and far between. Whatever the reason, South Africa’s citrus market has had the luxury of no poor climatic conditions to contend with or diseases like greening (HLB). This has kept year on year production increasing at a healthy organic rate. As a result the outlook for next season will be similar to this season. Bearing acreage of orange in the USA is a particular worry as year on year the output has been declining. In the past 10 years it has fallen from around 770 thousand acres to 600 acres today. Between California and Florida the two states contribute around 95% of all citrus production in the USA – a similar ratio for orange with only Texas recognized as the other producing state. It is again early in the season and more will be known into the New Year about this season’s harvest. However early reports suggest the fruit quality is OK but sizes are smaller than average with drought and poor irrigation blamed for the uneven fruit sizes. Only in September the USDA were reporting a near average production of 78 million boxes, (down 3-4% on the previous year); however this could be revised down after a longer than expected period of drought. Irrigation is a major problem as the Federal Central Valley Project does not allow sufficient water to be used for the irrigation of citrus crops and for farmers to buy emergency water is simply too expensive. Farmers are sat praying for rains so they bear better fruits later in the season but for now they can only sit and watch their crops suffer. Reviewing the current long-range weather forecasts another dry winter is expected so the outlook seems no better for 2015. Interestingly California delivers more fresh fruit to United States domestic market than Florida, contributing around 85%. However, that may be reduced slightly as California has recently stepped up the amount of fruit which go to processing, perhaps compensating for the losses in recent years from Florida. Despite navel production being down 9% last year on previous years they still managed to significantly increase the amount of processed fruits. That is unlikely to be repeated this season, however it is too early to have any firm data about 2014/15 productions at this stage. The California season runs from November until May. During the last season Florida’s production was down 22% on the previous year. For this coming season, official figures from the 10th October release show a positive increase of 3% in the total expected production of oranges in Florida. Conditions have been favorable from early in the season and continue to support a healthy production period. Having said that, it is nothing like the sort of volumes Florida once contributed just a couple of years earlier and this small growth is an almost irrelevant statistic when compared with the contribution of Brazil to the market. Florida expects a production of 108 million boxes (which is less than a quarter of that from Brazil) of which 56 million boxes are Valencia type oranges. As for the 52 million boxes of non-Valencia types, processing will not be at full capacity due to the fact the fruit sizes are too small and will not reach full maturity before harvesting. Generally acid levels are higher for the early to mid-season oranges. Harvesting started in November, a little earlier than usual. 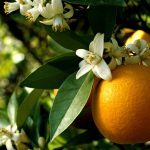 Florida has significantly more processing than California but bearing citrus acreage in Florida, at 476,300 acres, is 13,300 acres below the 2012-2013 season, which heavily affected the processed market. 2013/14 was 25% down on previous year’s harvesting of the Valencia type. The Florida season usually starts December/January and lasts until May/June.